Nerf War parties are a fun, thrilling and active way for kids to celebrate with their friends. 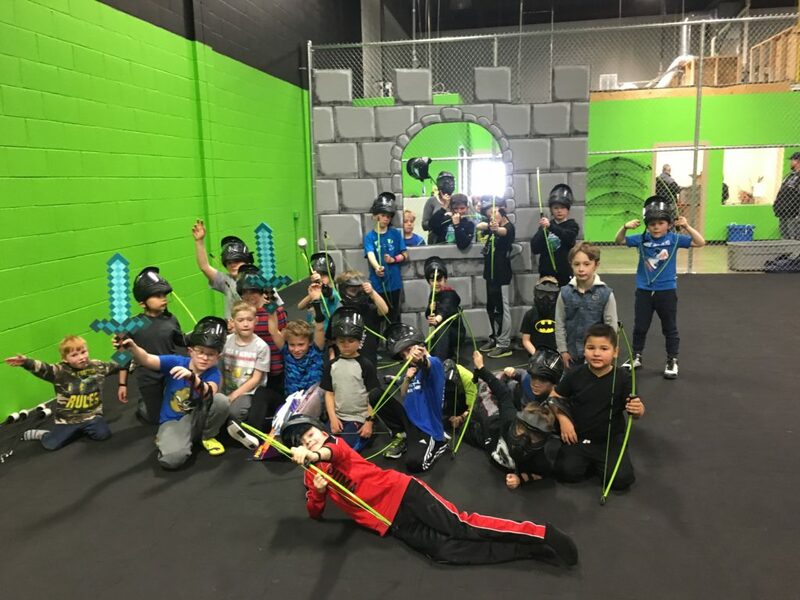 Combat Archery Edmonton offers Nerf birthday parties for groups of up to 30 guests. 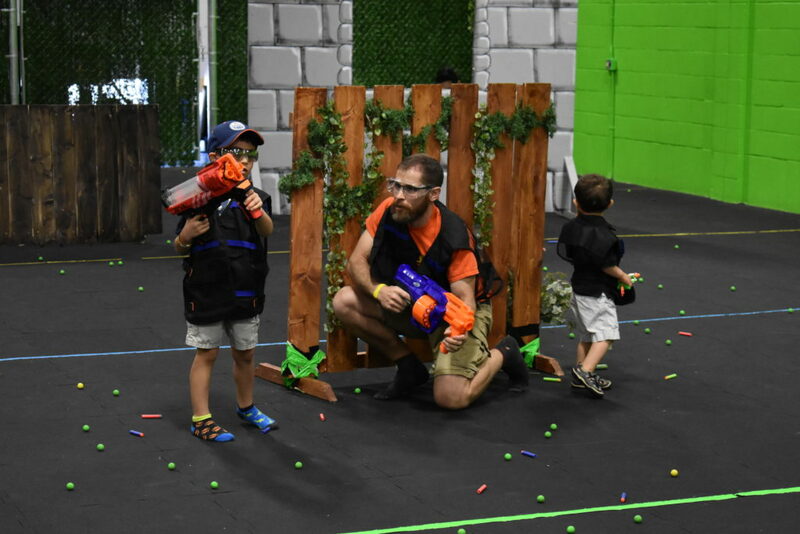 Taking place in a huge 5200 sq foot arena guests will be able to duck, dodge, shoot and climb with their friends in an epic, unforgettable Nerf battle. The arena includes sniper towers, castles, bunkers and hiding spaces. 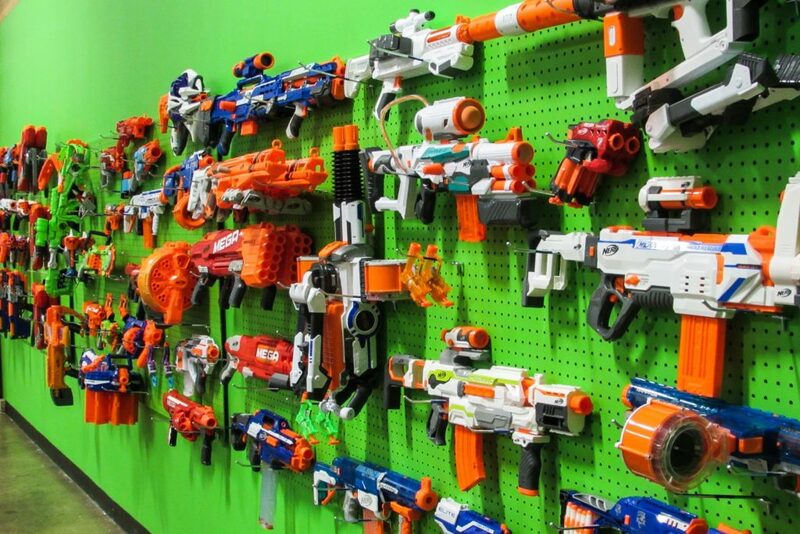 A huge amount of Nerf guns are stocked including large, expensive and motorized Nerf guns that children will be excited to play with. All Nerf birthday parties include 30 minutes of preparation time, 60 minutes of gameplay (including short clean up), 45 minutes use of a party table, a free T-Shirt and a free return pass for the Birthday child. 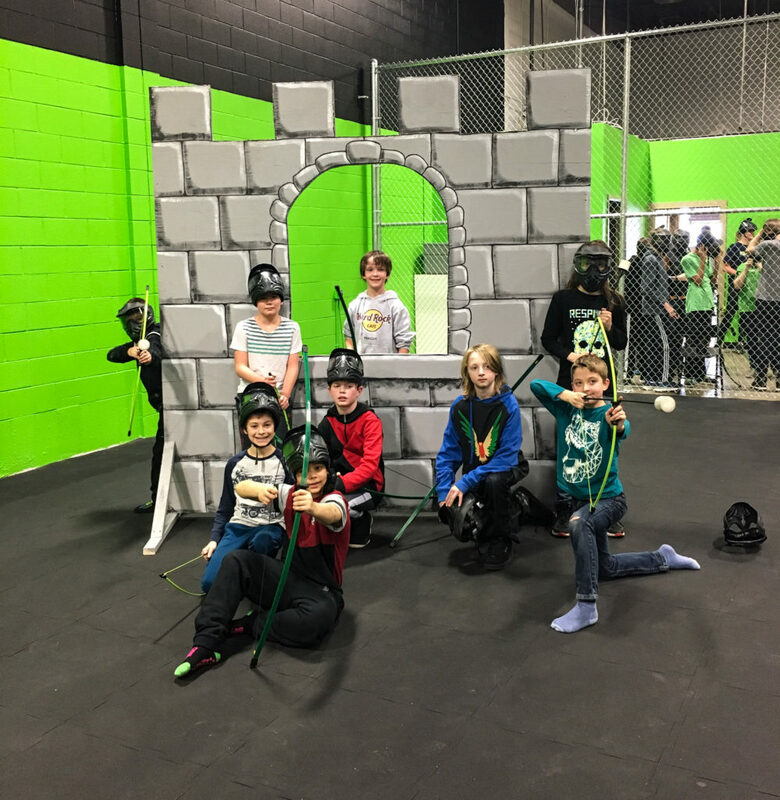 Combat Archery Edmonton also has a ball pit and video games room that are completely free to use, so the fun doesn’t stop once you leave the arena. Nerf parties are an excellent choice for kids ages 5-12. 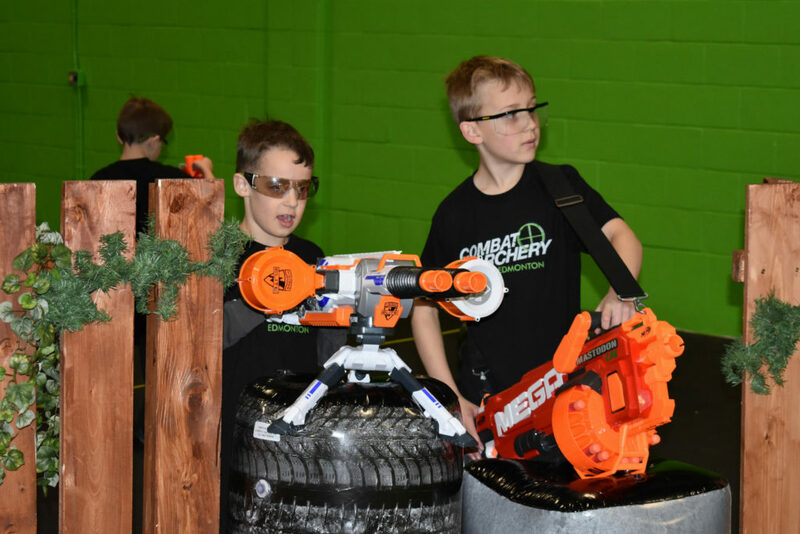 If your child likes games like Fortnite or just the idea of blasting their friends with foam darts, a Nerf party at Combat Archery Edmonton is a fantastic choice. 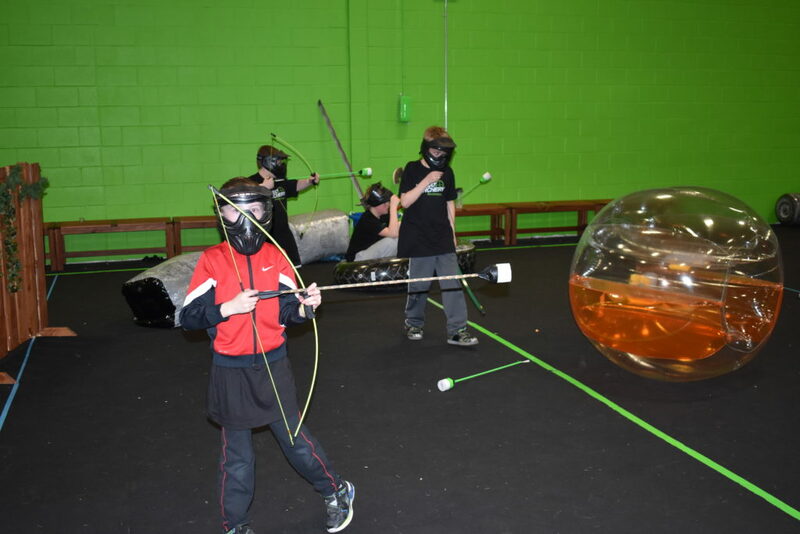 A new and exciting activity for parties is Combat Archery. The game is like dodgeball but with bow and arrows. The arrows do not have sharp points, instead the have large foam heads that bounce right off a person when they are hit. At Combat Archery Edmonton we games in our huge 5200 sq foot arena with sniper towers, castles and bunkers. We have a variety of different bows and can host birthday parties for kids as young as 5 up to adults. 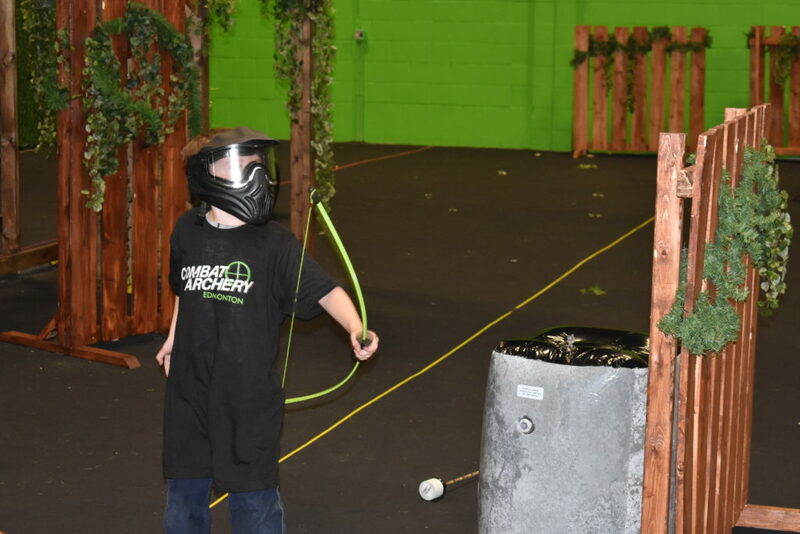 Each combat archery birthday party include 30 minutes of archery instruction and training, 60 minutes of arena combat, 45 minutes use of a party table, a free T-Shirt for the guest of honour and a free return pass for their next visit. During the party guests also have the option of using our safe foam melee weapons like swords, hammers and axes for a fun and safe battle experience. A thrilling, unique experience that your son or daughter will never forget. Contact us at (780) 490-8166 or book online today. Laser Tag is a game where players run around in a dimly lit maze with laser beam shooting guns. The goal of the game is to shoot the other players as many times as possible while avoiding being shot yourself. Laser Tag is suitable for ages 6+. Most birthday packages include 2 games and a party room. Contact Laser Quest or Laser City to arrange a booking. Trampoline parks have large numbers of trampolines arranged in a grid pattern. 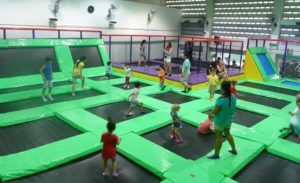 Kids can jump on the trampolines, dive into foam pits and airbags and even play games like dodgeball. Party packages usually include jumping time and a party table. Upgrades are available at most locations. Most parks do ask a parent to stay and supervise the children. This activity is suitable for ages 7+. Children under 7 can still participate in a separate sections for younger children.Contact Jump 360, Launchpad, Fun Park or U Play to arrange a party. A classic birthday party idea, bowling is a fun way for kids 6 & up to celebrate their birthday. Most bowling lanes in Edmonton will host parties and include both lane time and a party room. 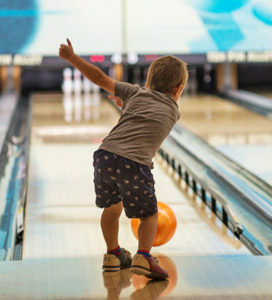 Bumper bowling and smaller 5 pin lanes are available at some lanes for younger children. Bowling venues to check out include Bonnie Doon Bowling Lanes, Gateway Lanes, Ed’s Bowling and St. Albert Bowling Centre. A unique party for active kids. 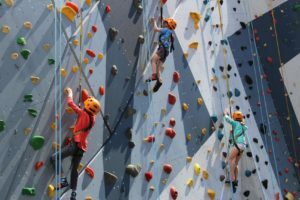 Vertically Inclined rock climbing centre on the south side of Edmonton hosts parties for kids aged 5+. During the party a host will introduce participants to the activity of indoor rock climbing. All equipment and training is provided. These large, safe, indoor playgrounds are an excellent choice for a younger child’s birthday party. 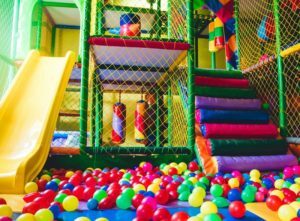 Good for both boys and girls, indoor playground have climbing areas, slides, ball pits and other fun areas for children to play. Party packages at Edmonton area indoor playground usually include play time, a party table and sometimes food and arcade tokens. Contact Allstars, Treehouse, Magic Space or Hide n’ Seek indoor playground to arrange your party. 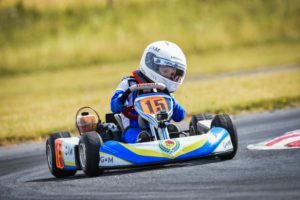 A high speed Go Kart party is a fantastic choice for older kids who want something exciting, competitive and fun to do for their birthday. There are 2 Go Kart facilities in Edmonton. Fast Track Karting parties include track time, food, a T-Shirt and party room use. All participants must be at least 4 feet tall. Speeders indoor ProKarts allows you to customize your event. You can buy track time, party room time, arcade tokens and T-Shirts. All participants must be at least 5’ 1” tall, making this facility suitable only for older children. A cool new technology that makes the player feel as if they are really in the game. 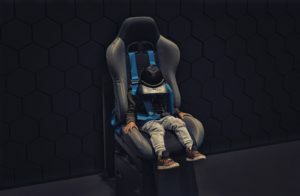 Virtual reality arcade have sprung up across the world in the past few years and make for an interesting, novel birthday party experience. Players don a headset and grab controllers and jump right into an immersive VR game. Single player and multiplayers games are both available. 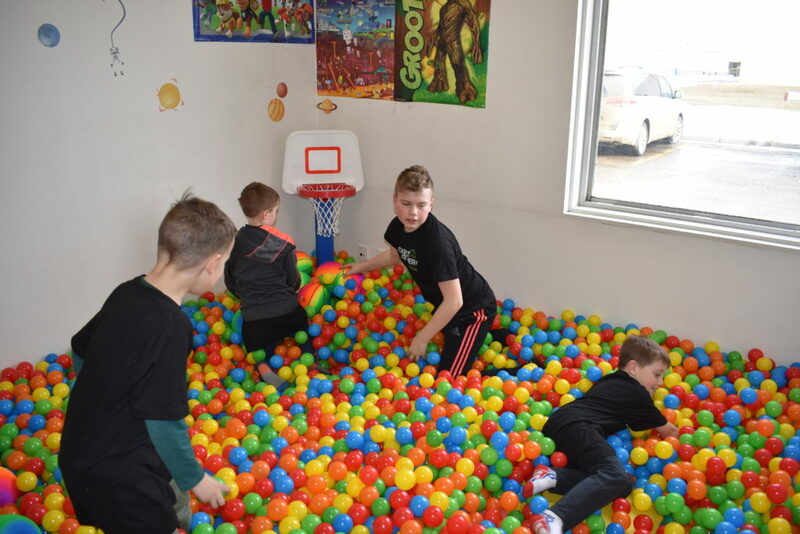 Game OVR in St. Alberta offers birthday packages for group of 5-24 players and includes game time and a party room. 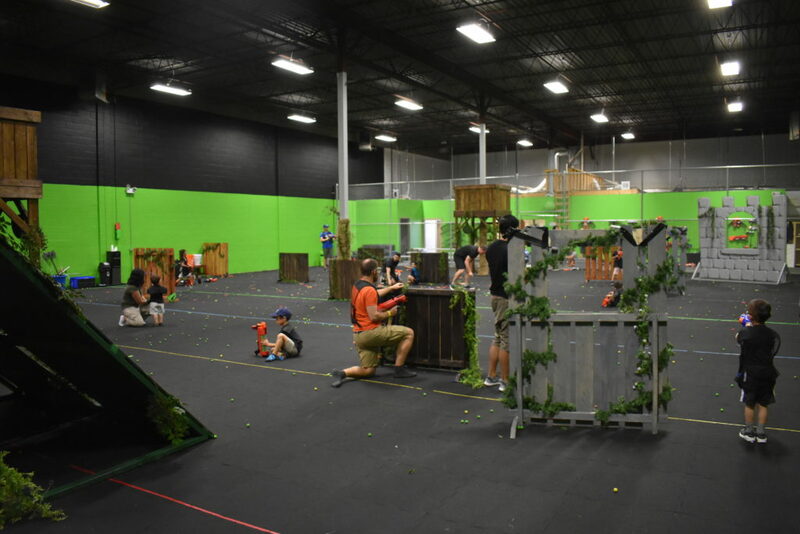 Ctrl V in West Edmonton offers a similar package, as does Breakout VR on the south side. Edmonton is home to a large number of gymnastics clubs and many of them offer birthday parties for kids. 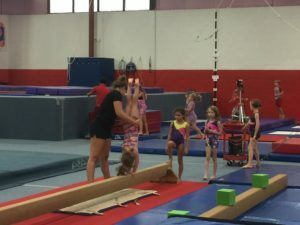 Good for all ages a gymnastics party allows children to use trampolines, foam pits, climbing ropes, rings, balance beams, parallel bars and all sorts of other fun gym equipment under the supervision of a trained gymnastics coach. Popular places offering birthday parties include Champions, Capital City, Dynamyx, Phoenix and Horizon gymnastics clubs. We are open by appointment only. Please book in advance or call (780) 490-8166 to book a game.